When I first saw the trailer for The Gardens Between is was intrigued. 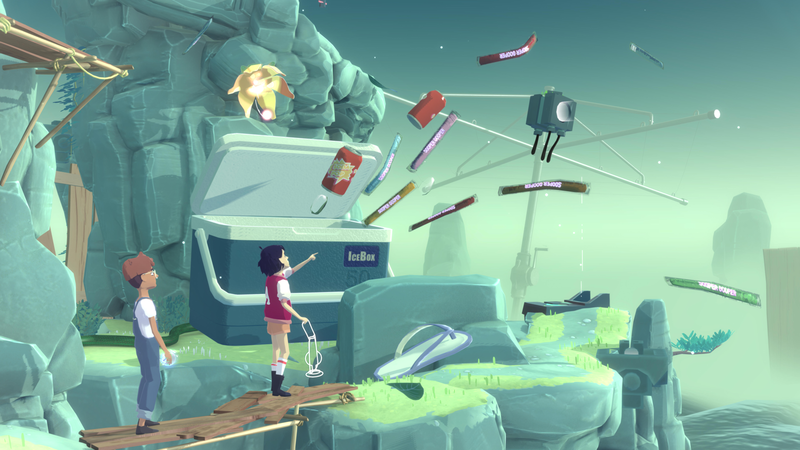 Time bending puzzles on little ‘islands’ filled with random and sometimes oversized objects looked kind of weird, but also kind of cool. A delightful and cheery art style, relaxing sound track and beautiful levels packed with tonnes of tiny details made me want to play it. 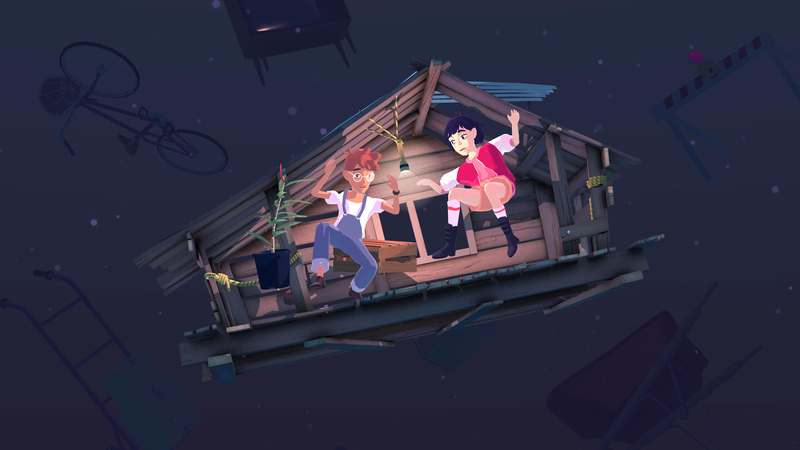 The Gardens Between is a single player game but you play as both Arina and Frendt simultaneously as you make your way through the levels completing puzzles as you go. It’s relaxing and extremely aesthetically pleasing to traverse through each level. The dreamy soundtrack really lends itself well to the game and helps sell you on this weird trip down their personally memory lane. The concept is simply, as you move – generally counter clockwise around the levels, time moves with you – think SUPERHOT but way less intense with no shouting, no guns or people trying to kill you. In order to progress you will need to solve various fairly simply puzzles, that will become slightly more complex the further you progress. Generally they will work based on something being triggered as you walk around the level. For you to solve them you’ll have to work out where you’ll need to walk and what you’ll need to do in order to make something happen, or make something not happen. I realise that sounds a little vague, but to describe it any more would start to spoil things I think. Your main goal will be to reach the middle of the island on each level or the main monument looking structure and you’ll need to make your way past various obstacles in order to do this. As you progress you’ll start to unlock more of their shared memories and unlock the secrets of these surreal islands, painting a picture of their friendship as you make your way through the 20 or so levels. I can’t really describe it in any other way than it being nice and that is absolutely a positive thing. The truth is, is there isn’t much gameplay here, it’s more of an experience, and a very pleasant one, with some interactive moments along the way. The puzzles never become overly challenging and you should be able to make your way past them without too much trouble. Personally I just really enjoyed taking in the environments and the visual style of the game. The physics of the game are really pleasing to watch, and the way the time manipulation works is a real treat to watch. The Gardens Between is a relaxing puzzle game that won’t take up too much of you time clocking in at around 3 hours max. With the manipulation of time serving as the main vessel for the gameplay and their nostalgia as you re-live – albeit in an abstract way, the memories of these two friends from years gone by, there is a story here, but its subtle like most of the game. If you like games like Gone Home – the more walking experience type games, but with a few puzzles mixed in here and there then I think you’ll enjoy it a lot! The game is out tomorrow 20th Sept on on Steam and Nintendo Switch.